Hello readers! I am so honored and excited to be a guest poster on The Crumpet's 12 Blogger Days of Christmas! 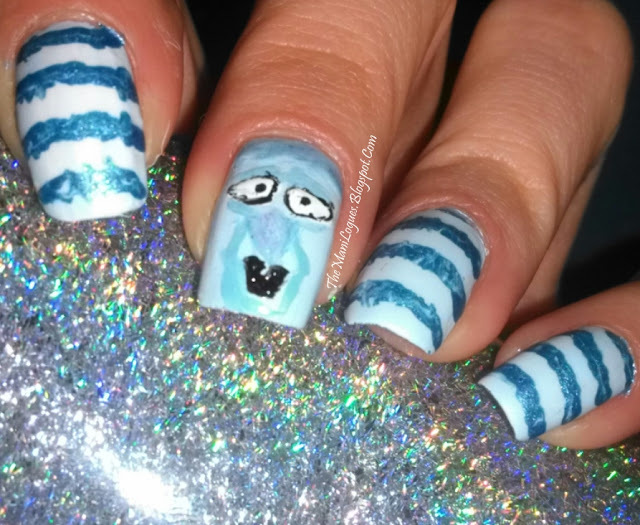 I am no Adventures In Acetone, but I figured I would attempt one of my favorite holiday characters for some nail art! 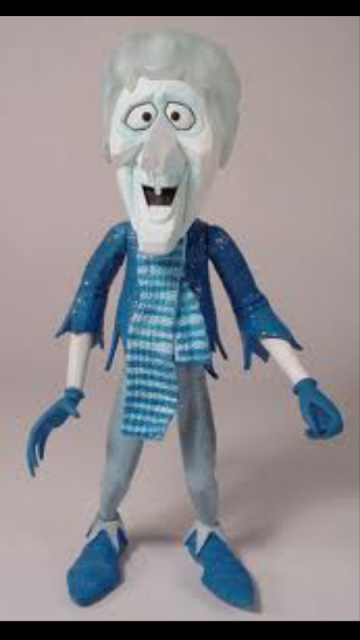 The 1970's stop motion Christmas tale, The Year Without A Santa Clause; I remember this movie being on television every year as long as I've been alive... the best parts were always with the Snow Miser and the Heat Miser. 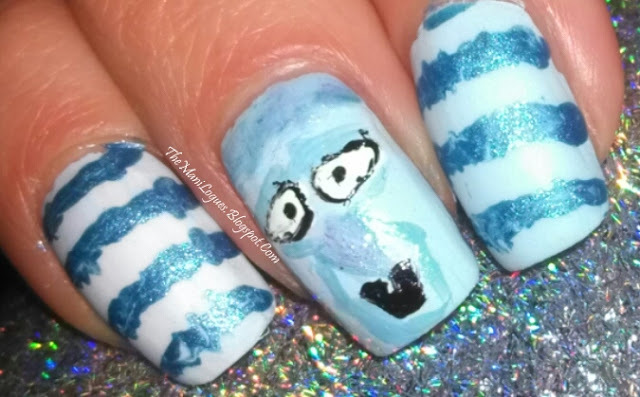 I eventually will be doing the Heat Miser on my blog some time closer to the holiday, but for this special post I chose my favorite, the Snow Miser! He is a pointy old ice blue man with icicles for a nose and hair and huge icey white eyes, he mostly wears a top hat and a blue and light blue/white striped scarf so I had to show at least that off too! I used OPI Natural Nail Base Coat, and a mixture of Zoya Song and Sally Hansen Insta Dry Whiteout for the base color. 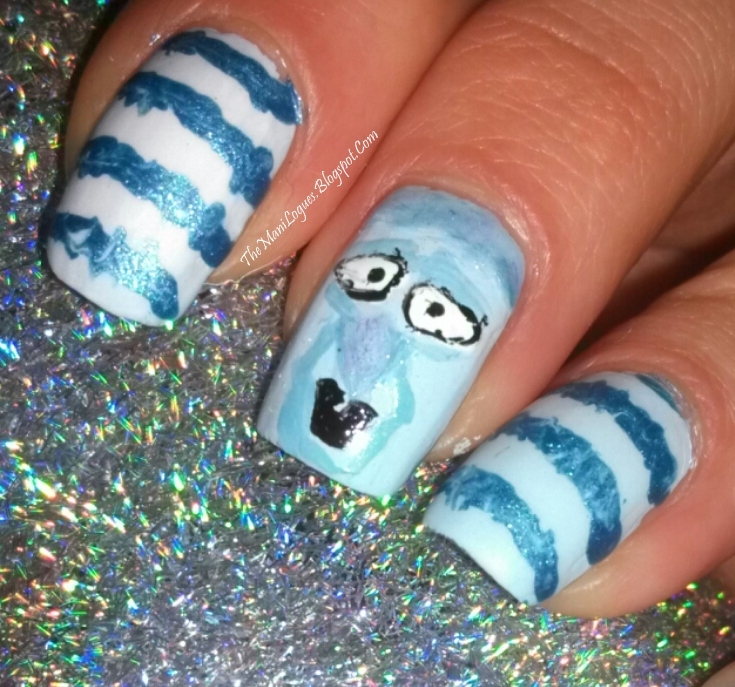 On the striped scarf nails (all but middle finger), I made the stripes with Drs Remedy BOLD blue, and then topped the nails with The Nail Junkie Matte Topper. 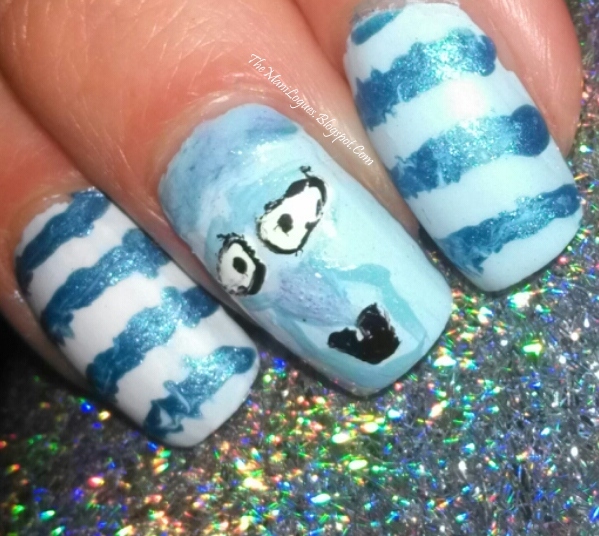 For the Snow Miser face (middle nail) I used the same nail shades but some LA Colours Black Velvet for the eyes and mouth, and globs of INM OTD glossy top coat for the nose and hair to glisten like icicles! 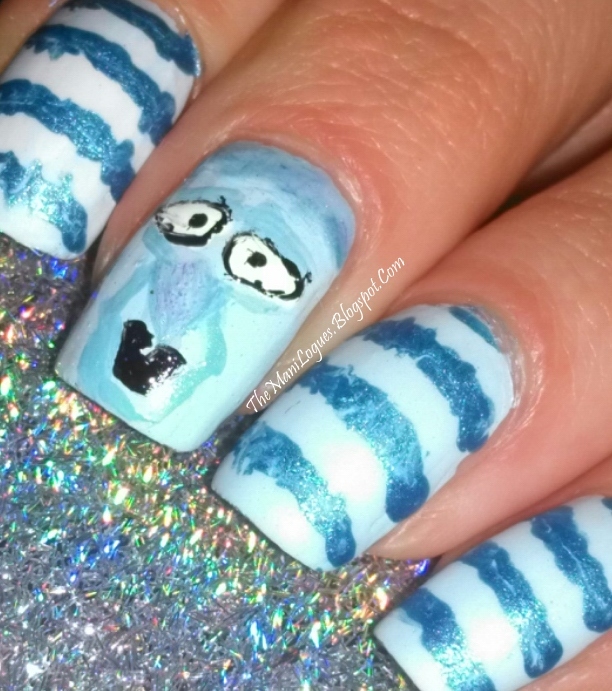 I hope you enjoyed my festive holiday Snow Miser nails! Thanks again to Debbie for allowing me to be a part of the blog for a day! Happy Holidays!